One of the challenge I had when I began my journey into web design was how to upload my website to the server. If you are facing the challenge, smile because I am going to show you how to upload your website step by step. There are so many FTP programs you can use to upload that your newly created website to your newly rented server. 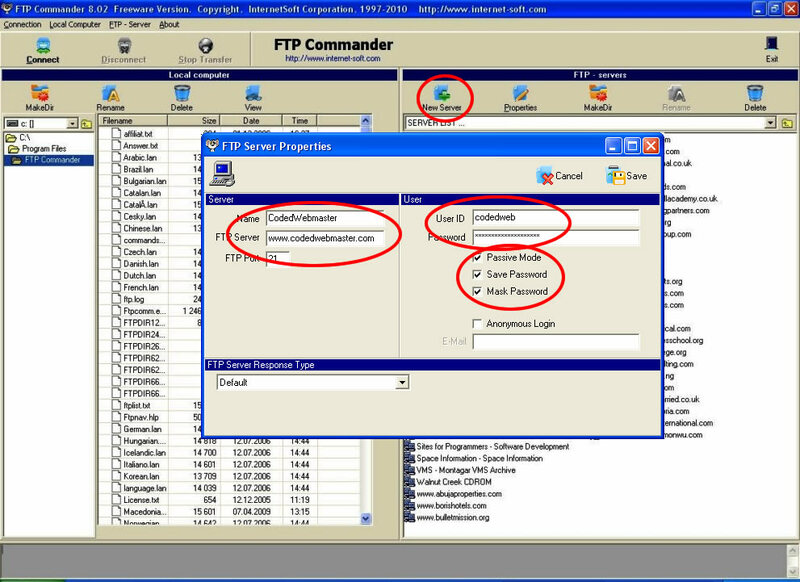 But I am going to show you how to use FTP Commander and Filezilla. These 2 program are awesome and the good the is that they are free to download. 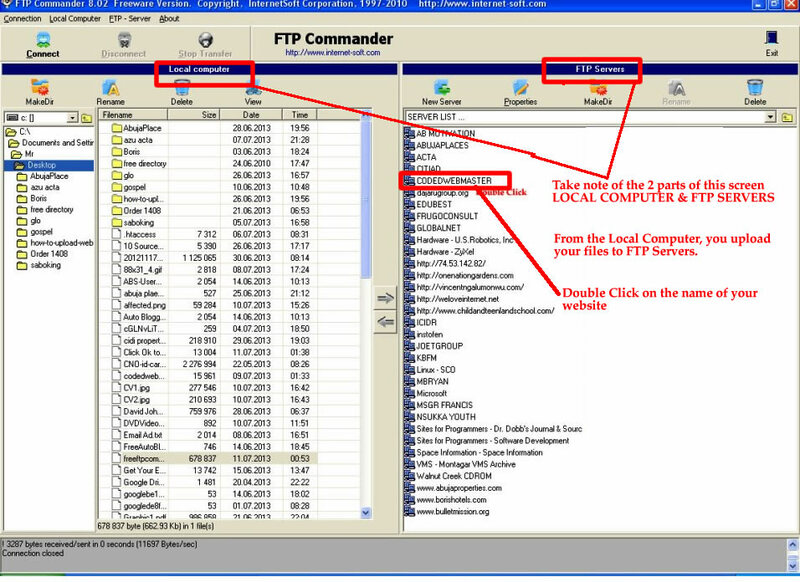 Before I begin to show you step by step – how to use FTP Commander or Filezilla to upload your website, I want to believe that you Web Hosting space is in place. Any time am coaching new web designers, I do compare Web Hosting to accommodation. Before you rent a house, you need to consider one or two things – Security, Electricity etc. It is the same things with your web hosting – you need to consider security and also server up-time of the your hosting. I have hosted website in some server and research has show that Hostgator is one of the best hosting platform and I really recommend it for people looking for reliable web hosting. 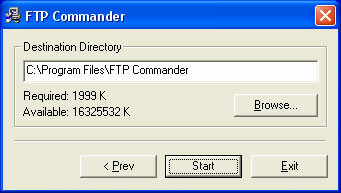 Now let me show you step by step how to upload your website using FTP Commander. You need to download the program. Download it here – double click on it to run it. Step 1: Double click on the program (freeftpcommander.exe) to run it. Select to agree with the terms and conditions and click NEXT to continue installing the software. **Note** If your are not using your personal computer, delete the connection after uploading your website. Click on the image to enlarge it ==> Take a look at the setting and follow the direction. The screen is divided into two, the left one is the LOCAL COMPUTER while the right one is the FTP Servers. You open your website from the Local Computer and upload to the Server. Double click on the name of your website on the FTP Servers, it will open, then double click on WWW Folder or Public Html, that is where you are going to upload all the files (your website). From the Local computer, open your website. This is where a lot of new webmasters got confused but if you know your computer very well, it is very simple. The easiest way to do it is to copy the website you created into a removable disk (Flash Drive), then from the top of the local computer, click the drop down ( C: [ ] ) and select the drive, open the folder that contain your website. Click on one file, press Ctrl A to select all the files. Then click the arrow that point to the Server to start uploading.